Update August 2017: DOA audiobook is available on iTunes and Audible! 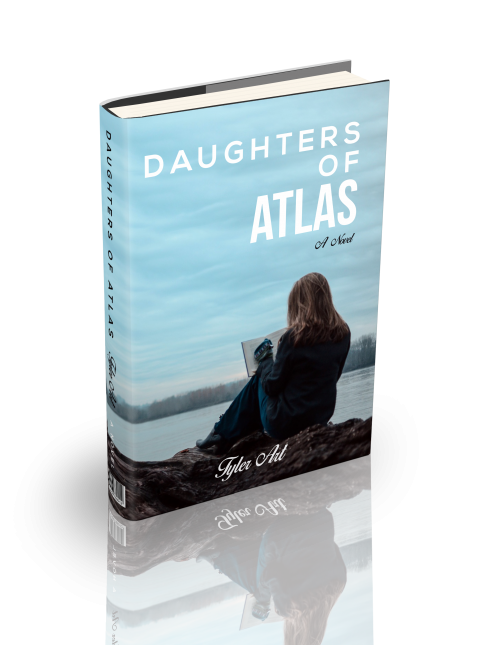 Update April 2017: Daughters of Atlas is going aural! Thank you for visiting the information hub for author, Tyler Art. In this day and age of blogs and blurbs and posts and “clickbait,” it is an honor to be found among the many choices to be had. It’s also inspiring for a novelist to know that there is still interest in the long form of entertainment, even if we are consuming it in a myriad of modern ways. Nevertheless, cheers to the whole story, whether absorbed on a tablet, through car speakers or simply via the rough-textured pages of a traditional book. Hip, hip hooray for vicarious experiences. Yay for us, the curious ones.